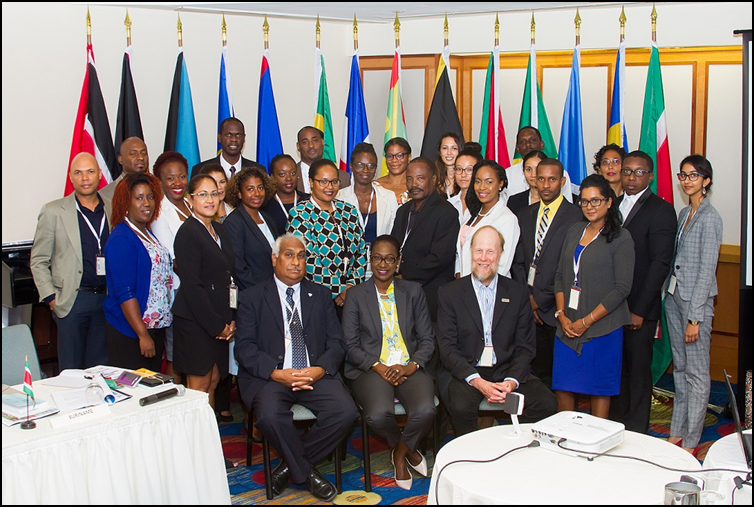 This workshop primarily focused on preparing participants from the Caribbean Region for the First Conference of Parties to the Minamata Convention. The first two (2) days were dedicated to a review of the Minamata Convention and ongoing work being done towards the implementation of the Minamata Convention by various countries. These sessions included presentations and exercises by BCRC-Caribbean representatives, country participants and International Coordinator of the Zero Mercury Working Group, Mr. Michael Bender. In order to prepare the participants for COP1, the logistics of the meeting, and the documents were reviewed in depth including highlighting areas of concern for the region. Day three (3) of the workshop focused on a training segment on Multilateral Environmental Agreements Negotiation led by Programme Officer, Law Division of the UN Environment; Mrs. Haddy Jallow Guisse. The participants learned important strategies and etiquette for effective participation in negotiations and were given the opportunity to practice with a negotiation simulation exercise. It is anticipated that this type of regional meeting and training will be hosted by the BCRC – Caribbean in the future, as it will ensure that the region better understands its obligations under the relevant multilateral environmental agreements and better understand the techniques involved in negotiations.